October's monster of a rally may have frightened off value investors, but bargains still exist in certain pockets of the market. 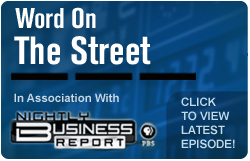 Editor's note: As part of our partnership with PBS's Nightly Business Report, TheStreet's David Peltier joined NBR Monday (watch video and see transcript here) to explain where to find value stocks after October's monster rally. NEW YORK (TheStreet) -- The benchmark S&P 500 index is on track to close out October with its largest monthly gain in nearly 25 years. That said, investors should not be scared to seek out value in certain pockets of the market. I had the honor of attending a Value Stock seminar hosted by the Columbia Business School last week and to rub elbows with some of the best money managers in the business. The key takeaway from the meeting is that value does exist in the current environment, if you know where to look for it. One of key metrics I use for finding oversold stocks is to look for profitable companies that trade below tangible book value. Book value is the accounting term given to the value of a company's common shareholder equity and it generally serves as a valuation floor for the stock. This is especially true when a company has high-quality assets; rather than a balance sheet that's bloated with intangible assets, such as goodwill. One company I follow closely that currently fits this bill is TriQuint Semiconductor ( TQNT. The stock has been more than cut in half this year, and is currently changing hands around $5.40. The company has made a few operating missteps this year, but is a major component supplier for Apple's ( AAPL iPhone and iPad, and remains solidly profitable. At the same time, the company has a tangible book value of about $5.42 a share. This essentially means that the market is assigning no premium value to the company's assets, including $147 million of cash and investments on TriQuint's debt-free balance sheet. As management gets the company back on the right track, the risk premium in this stock should once again be reflated. As a result, I believe that TriQuint shares can move up toward $7 to $8, with limited downside potential from current levels. Another value screen that I like to run, which I learned from my colleague Jonathan Moreland, is to look for stocks with above-average dividend yields where insiders have been buying. Along these lines, I recently came across defense and security company Northrop Grumman ( NOC - Get Report). At around $58.40, the stock is up 18% from its August lows; but it sports an attractive 3.45% dividend yield and currently changes hands for just eight times expected full-year earnings. This places the company at a discount to both its peers and its average historical valuation. The defense sector has come under some pressure this year, as investors brace for expected cuts to the Pentagon's budget. That said, Northrop boosted its full-year earnings guidance last week and continues to see new contracts -- like the $124 million counter-rocket system order received from the U.S. Army earlier today. In the meantime, management has found value in the stock. In addition to buying back 12.7 million shares of the company last quarter through a corporate buyback program, CEO Wesley Bush was buying Northrop stock on the open market back in August. Add in the fact that I believe the company has the capacity to boost its dividend in the coming quarters -- as competitor Lockheed Martin ( LMT did last month -- and I believe that Northrop Grumman offers attractive value at current levels.